How did Saxony become “Saxony”? “Sahs” was name of the single-edged sword, the weapon of choice of the Germanic tribe living in today’s German state of Schleswig-Holstein, north of Hamburg. As the Romans reported, their neighbors called these people “Saxones”. When the Roman Empire collapsed, the Saxons moved southwards and soon dominated the whole northwest of what is called Germany today. Some of these Saxons left for England with another tribe, forming the Anglo-Saxons. The empire of the remaining Saxons thrived until the late 12th century when it fell apart. 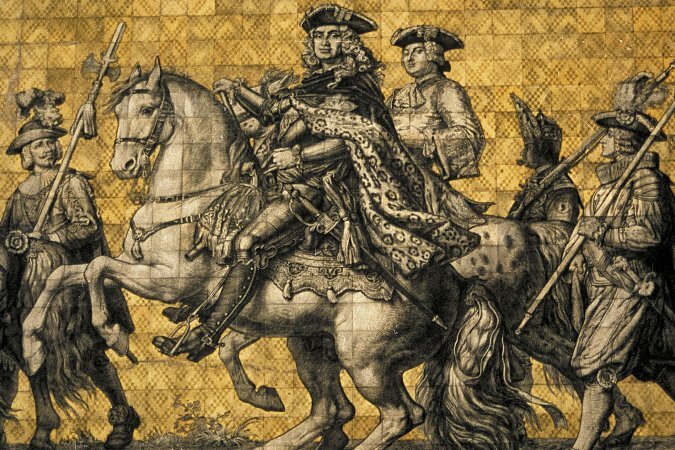 It was Heinrich I, the first German emperor from family ruling this Saxony kingdom, who started conquering the area known today as Saxony. This area soon became known as the Mark (=border region of) Meissen, named after its first capital. In 1089, Heinrich von Eilenburg of the Wettin family became Margrave (=ruler of the Mark) of Meissen. The Wettin family then remained in power for 829 years, later as dukes, electors and kings. In 1168, silver ore was found in what is called Freiberg today and that region became quickly known as the Ore Mountains. 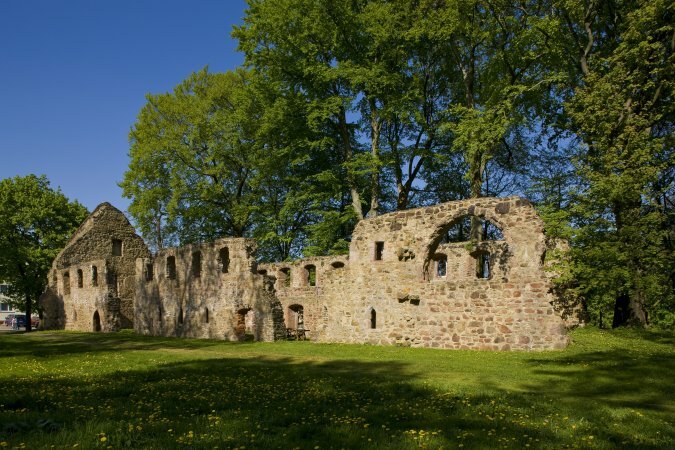 Mining thrived for hundreds of years, making the Saxon rulers wealthy and powerful. In 1423, the Wettins succeeded in acquiring the territory of Saxony-Wittenberg, part of the former Saxon empire in the Northwest of Germany. The Mark Meissen now adopted the Saxony name and its ruler became an Elector, one of seven regional rulers empowered to elect the German emperor. Now the new Saxony had become a true force in Germany. In the 16th century, Saxony was the "Motherland of Reformation" which influenced world history greatly. In the 18th century, Elector Augustus the Strong and his son were also kings of Poland. 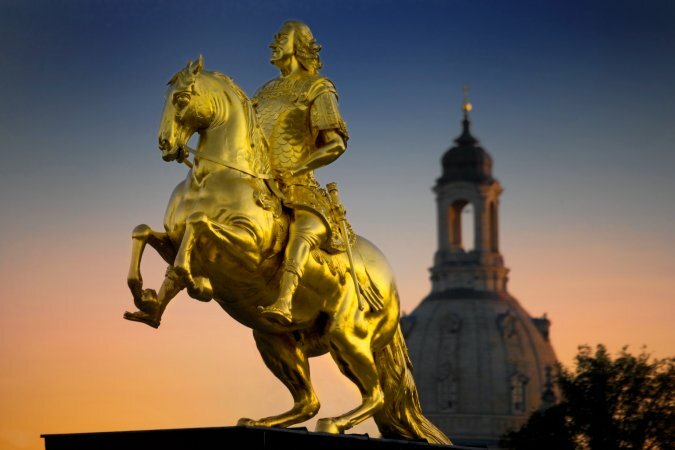 Under their rule, Saxony’s capital Dresden turned into “Florence on the Elbe River”, with magnificent architecture and amazing art collections. Then, under Napoleon, the Saxon electors became kings. But Napoleon was defeated in the Battle of Nations near Leipzig in 1813. As an ally of Napoleon, Saxony lost half of its territories and now Prussia became the chief rival of the Austrian Habsburgs in the German power struggle. But Saxony recovered. 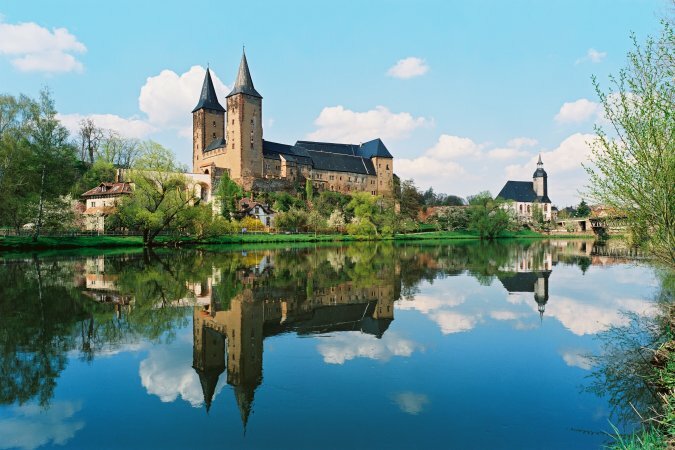 Drawing from technical skills developed through centuries of mining and a good education system, the industrial revolution in Saxony was very successful. When Saxony became part of the newly formed German Empire in 1871, the development accelerated even more. At the turn of the 20th century, it had become the leading industrial region in Germany, contributing one third of the nation’s total industrial output at times. Chemnitz, the cradle of German engineering, had the highest industrial output of any city in Germany, followed by Dresden, which had become Germany’s richest city. And Leipzig, the world’s oldest trade fair place, was a metropolis where the most important people from the whole world came together to meet and trade goods. The after-effects of World War I hit Germany hard and Saxony was not an exception. Many companies went out of business and others had to merge, like the Saxon car manufacturers Audi, Horch, DKW and Wanderer which formed Auto Union, making four interwoven rings their new logo. Saxony quickly became a stronghold of the Nazi Party. World War II brought heavy destruction. The senseless bombing of Dresden, one of Europe’s most beautiful cities, at the last stages of the war became a symbol for the craziness of wars. In the Saxon town of Torgau, Russian and American troops met, sealing Hitler’s fate. After the war, Saxony fell behind the Iron Curtain. All companies were nationalized and lost access to most world markets. Large numbers of highly-skilled workers fled to the West. In 1952, the East German Communist government dissolved Saxony and divided it up into three districts. But they could not erase the strong identity of the Saxons who have always been proud of their history and achievements. By the 1980s, the situation in East Germany had worsened so much that people got more and more disillusioned. More than elsewhere it could be felt in Leipzig which connected East and West via its spring and autumn trade fairs. Peace prayers in St Nicholas’ Church turned into demonstrations in 1989. The unrest quickly spread to other cities and within a few months, the Wall came down and the Communist regime collapsed. Saxony was re-established immediately and, together with the other parts of East Germany, reunited with the West. This process brought economical hardship and enormous changes for the Saxons. But Saxony faced the challenges and has established itself in the united Germany. It has attracted high-tech industries, has become a major player in car manufacturing and has re-established its famous hand-crafted luxury goods on the world markets. Saxony's schools are the best in Germany and Saxon universities are turning out the highest number of engineers in Germany and many scientific research institutes are working on the world’s future. And once again Saxony welcomes millions of guests from all over the world who delight themselves in Saxony’s rich heritage and great hospitality. The Leipzig-born philosopher, mathematician and physicist was one of the last polymaths. He suggested a Saxon Academy of Science to Elector Augustus the Strong in 1704 which became a reality in 1846 only. His school in Leipzig, the St Nicholas’ School still exists. A monument for him was erected in front of Leipzig University in 1883. After the death of his brother, Augustus became Elector of Saxony as Friedrich August I. Three years later, having converted to Catholicism, he also became King of Poland as August II. As a typical ruler of the Baroque age, he loved pomp and spent a fortune on architecture and art which still exist today. His love affairs are legendary. While his body was buried in Krakow, his heart is kept in Dresden Cathedral. Hailing from the Ore Mountains region, the master organ builder established his workshop in Freiberg where wood and tin where easily available. 31 of the 45 organs he built are still around, almost all of them in Saxony. The largest ones are the instruments in Dresden Cathedral and in Freiberg Cathedral. Silbermann also built other keyboard instruments. His property in Freiberg where he had his workshop still exists as does the house in Kleinbobritzsch where he was born. The Silbermann Museum can be found in nearby Frauenstein. With Protestant refugees from Moravia, the Saxon nobleman founded the Moravian Church in 1722 on his Berthelsdorf estate. The "Moravian Brethen" became the most successful Protestant missionaries and spread the church to all continents. The Museum of Ethnology and the buildings in Herrnhut illustrate this success story. The Moravian Stars, which illuminate houses all over the world at Christmas, are still made in Herrnhut today and their production can be witnessed in a demonstration workshop. The most important German poet from the Age of Enlightenment was born in Kamenz where he is commemorated in a museum. He attended the elite St Afra School in Meissen which stills exists today and later Leipzig University. His poems, fables and dramas are still treasured today and have become part of every school curriculum. Like the India missionary Bartholomäus Ziegenbalg, the famous Saxon sculptor Ernst Rietschel was born in Pulsnitz, the little town near Dresden famous for its gingerbread. At the age of 28, he became professor for sculpture at the Dresden Academy of Art. His sculptures contributed to the image of Germany as the land of thinkers and poets. His Weber Monument near the Semper Opera in Dresden is one of his best works. Outside of Saxony, his Lessing Monument in Braunschweig, his Luther Monument in Worms and his Goethe and Schiller Monument in Weimar are famous. 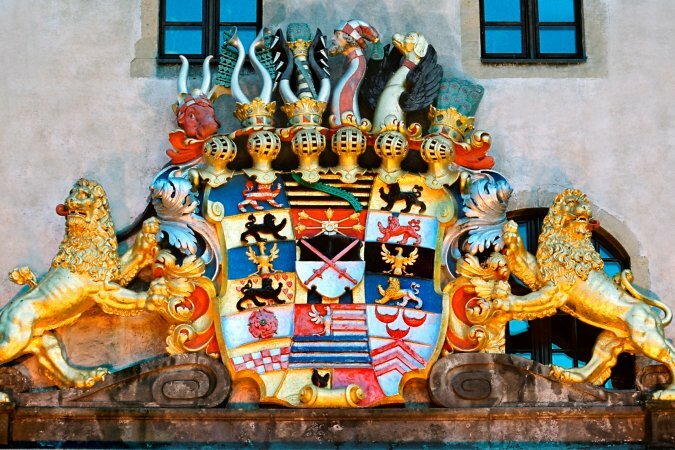 A frieze created for the first Semper-designed opera house can now be found now at Bautzen’s Ortenburg Castle. Monuments for Rietschel were erected on Brühl’s Terrace in Dresden and in Pulsnitz where his birthplace is still in existence. Born in the Vogtland region of Saxony, the engineer and architect made significant contribuitions to the industrial revolution in Germany. He constructed the first German locomotive and the first Saxon steam boat. Later he built the Göltzschtal Bridge, still the largest brick bridge in the world, and the similar Elstertal Bridge. His former residence in Dresden’s Friedrichstadt district still exists as does his grave on Dresden’s St Matthew Cemetery. Born in Leipzig, Wagner found fame in Dresden where he was made Saxon Court Conductor. He premiered “Rienzi”, “The Flying Dutchman” and “Tannhäuser” in Dresden which showed his remarkable talents as composer and lyricist. After the failed bourgeois revolution of 1849 he had to flee from Saxony and only returned later in his life. There are museums for Wagner in Graupa near Dresden where he sketched his “Lohengrin” and in Leipzig’s former St Nicholas School where he had been declared a “student without perspectives”. His former apartment in the Marcolini Palace is now part of Dresden’s Friedrichstadt Hospital. Zwickau-born Robert and Leipzig-born Clara Schumann had to go to court to get married because Clara’s father Johann Gottlob Friedrich Wieck did not want Robert to ruin the career of his highly-talented pianist daughter. Robert had also aspired to become a pianist but turned into a composer after he injured his hand. She remained an outstanding musician while he became the “musical poet of the 19th century”. Robert’s birthplace is now a museum as is their former apartment in Leipzig. The sculptor, graphic artist and painter, was one of the most original artists of his time. Born in Leipzig, he returned to his home town eventually in 1893 where he created his most accomplished works. He was extremely literate and friendly with many poets. Klinger also studied poetry from the past extensively, including writings of the Indian poet Kalidasa. The Museum of Fine Arts in Leipzig has some of Klinger’s best works on display, among them his frieze of Ludwig van Beethoven. Born as Karl Schmidt in the Saxon village of Rottluff, now a part of Chemnitz, he added the name of his birthplace to his given name in 1905. The multi-talented artist, who was painter, graphic artist, goldsmith and wood carver in one, founded the famous artist group “Brücke” (=Bridge) with Kirchner, Bleyl and Heckel in Dresden. In 1937, his works were removed from the museums after being denounced as “degenerate art”. 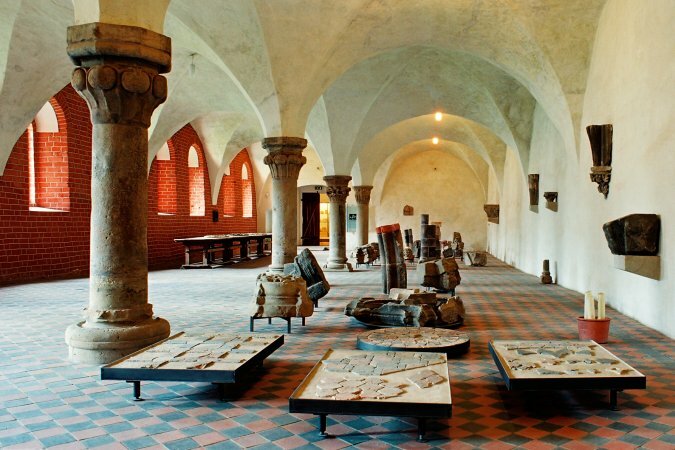 The Chemnitz Art Collections have a large collection of his works on display today. A highly political author his young years, the Dresden-born poet found fame with his books for children, like “Emil and the Detectives”, “The Flying Classroom” and “Lottie and Lisa” aka “The Parent Trap”. Goebbels had his books burned in 1933 but insisted that he wrote the script for the UFA film company’s anniversary movie “Munchhausen”. The various Dresden apartments the Kästner family lived in still exist. The highly interactive Erich Kästner Museum resides in the former villa of Kästner’s uncle Franz Augustin. Traces in Torgau and Dresden. Former residence in Dresden. Master architect of Augustus the Strong. Many buildings in and around Dresden. Former residence in Dresden. Grave in Dresden’s St Matthew’s Church. Alchemist and inventor of the European hard porcelain. Traces in Dresden, Meissen and Königstein. Memorial at Dresden’s Brühl’s Terrace. Musical genius and cantor at St Thomas’ Church in Leipzig for 27 years. Bach Museum and other traces in Leipzig. Grave in St Thomas Church. Most important German painter of the Romantic period. Traces in Dresden and Saxon Switzerland. Works at the New Masters Picture Gallery in Dresden. Grave at Dresden’s Trinity Cemetery. Saxon Court Conductor and composer of the German National Opera “The Marksman”. Weber Museum in Dresden-Hosterwitz. Grave at Dresden’s Catholic cemetery. Architect of the Semper Opera House and the Old Masters Picture Gallery in Dresden. Other traces in Bautzen and Bad Muskau. Brilliant musician, conductor of the Leipzig Gewandhaus Orchestra and founder of the first German music conservatory. Museum in his former apartment, monument and other traces in Leipzig. Important Modernist painter and professor at the Dresden Art Academy. Largest collection of his works at Museum Gunzenhauser in Chemnitz. Legendary dancer and founder of the renowned Gret Palucca School in Dresden. Traces in Dresden. Modern day polymath and television technology pioneer. Ardenne Villa at Dresden-Weisser Hirsch and grave at the local cemetery. Star conductor and hero of the Peaceful Revolution in East Germany. Gewandhaus Concert Hall, grave and other traces in Leipzig.